Ayurveda gives ginger the status of a virtual medicine chest. That’s because this wonder spice has time-tested digestion-friendly properties, in addition to its numerous other health benefits. In India, we use ginger liberally in our daily life. Ginger-spiked chai is a household favorite, and it’s grandma’s antidote of choice for battling cold and flu. On millions of dining tables in India, you’ll see matchsticks of fresh ginger that have turned a soft pink from being soaked in lemon juice and salt: a zingy accompaniment to our favorite dinner, dal-chawal. 1. Haven’t been feeling hungry? Eat fresh ginger just before lunch to stoke a dull appetite. (Ayurveda recommends that lunch should always be your main meal of the day, because this is when your digestive energy is naturally at its peak). 6. Tummy moaning and groaning under cramps? Munch on ginger—for best results, toss it in a little warm ghee before you chew. Cook basmati rice. When you take the lid off the pan, quickly stir in finely chopped garlic, ginger, green chillies and fresh cilantro leaves—the burst of flavor and fragrance will drive your senses crazy with desire! ‘Grate’ idea: grate some ginger root and put it in your juicer, along with carrots and apples and a little lemon juice. Totally yummy, and of course, so good for you! Even a smidgen of grated ginger on your vanilla pana cotta or strawberry sorbet can wake up the flavor! If your Ayurvedic dosha is Vata (airy, restless) or Kapha (heavy, sluggish), ginger can be to your ailments what a hero is to the baddies. But if you are a naturally fiery Pitta type of person, go easy on the ginger. To understand your unique dosha personality, see a good ayurvedic physician. Dr Akilah El presents "The Health Benefits of Ginger". 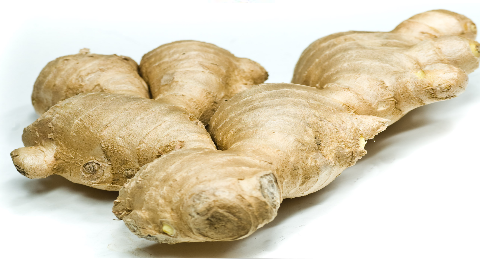 Ginger is one of the world's seven most potent disease-fighting spices. It has been review widely regarded for centuries as a natural remedy for a variety of ailments. Find out why and how ginger can benefit you in this video.